MADE-TO-ORDER, ship about 2--5 working days after payment. 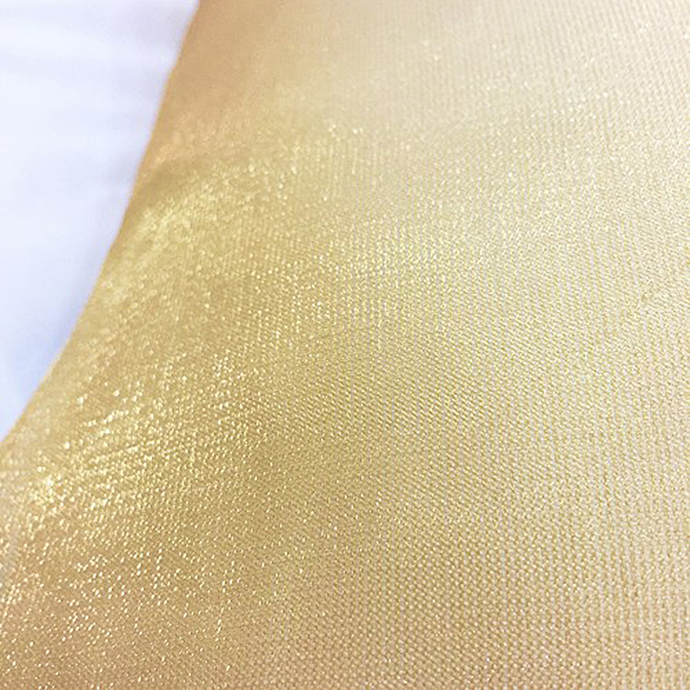 **You will get a set of 2 pieces pillow covers in shimmer Light Gold polyester. Pillow Covers only, no inserts. 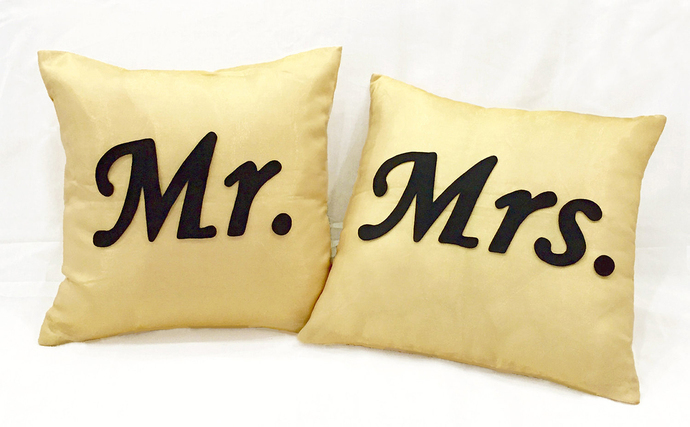 **They are 16inch X 16inch, ' Mr' and 'Mrs' are hand-cut with felt and hand-stitched with love by me on the front panels. **Invisible zips at the bottom for inserts removal. 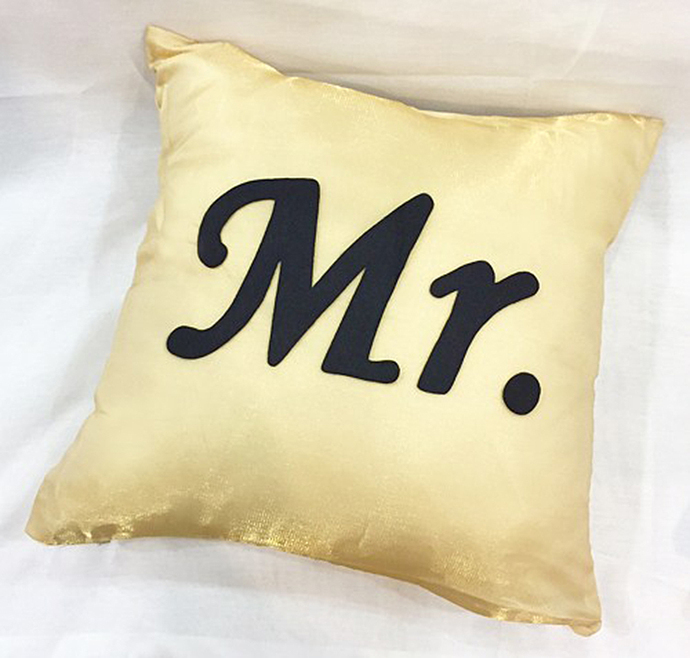 **If you want different pillow base color, just ask me (Navy, Mint, Grey, Pink and etc are available). **If you need the Text in different color, just contact me. 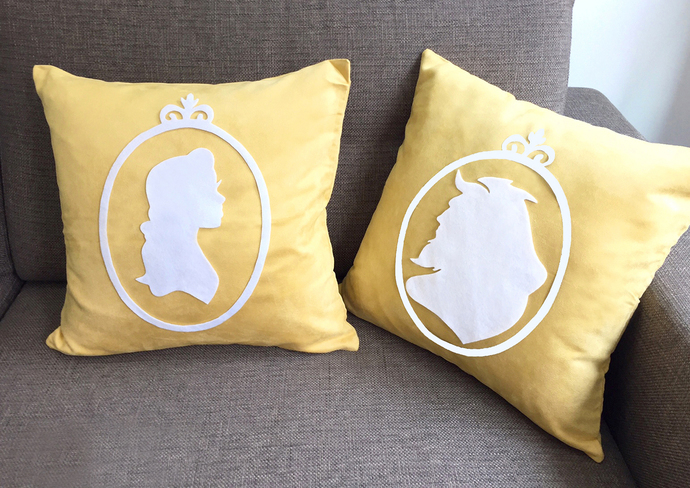 **'Beauty and The Beast' (LAST picture) decorative set is available in my Shop. *Iron in low temperature by placing a cloth on top of it. Do not iron directly. *Do not tumble dry or twist.